Jaca Navarra (also known as Poney Navarro, Caballo Navarro, Caballo Vasco-navarro, Caballito de Andia, Caballito de las Amescoas, or Caballito de la Barranca, Jaca de Montana, Raza de Pamplona, or Raza Pamplonica) are small horses from the Navarre region of northern Spain. They are listed in the Catalogo Oficial de Razas de Ganado de Espana in the group of autochthonous breeds in danger of extinction. The total population of the Jaca Navarra has been variously estimated at 350 (in 1999), 250 (in 2000), and 240 and decreasing (in 1997). In April 2011 the total population was reported to be 899, all of which were in Navarre. 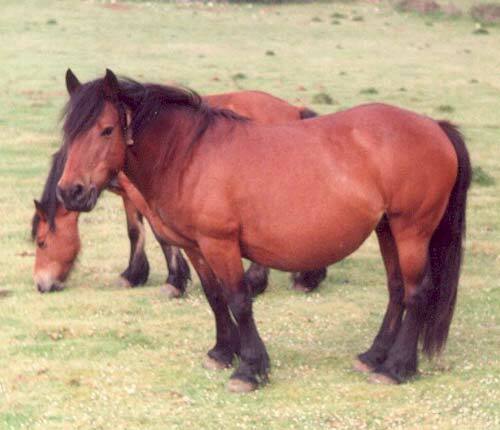 The breed is listed by the FAO as Endangered.